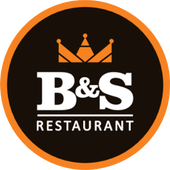 B&S Restaurant is a relaxed eating venue by the ring road in Blönduós town in North-West Iceland. Our broad menu selection includes everything from locally sourced Icelandic lamb and fresh fish straight from the ocean to a wide variety of pasta and vegetarian dishes accompanied by , a variety of soups, a salad bar or pizzas and burgers. B&S Restaurant is a spacious and high quality restaurant that will for an ideal stop for any traveller. With seating floor the ground floor for 80 and a staff team of 15 people, we are able to provide services to both large and small groups, quickly and professionally. The restaurant has a large parking lot that can accommodate both buses as well as private cars and we offer special prices for groups upon request. We can also provide a variety of accommodation in the neighborhood.